To make your trip as pleasant, comfortable and successful, it is important to consider your current health needs, as well as foresee any potential health risks. Each country has its own unique characteristics when it comes to the quality of water and food, insects, parasites and potential health dangers. The best way for you to stay healthy and safe is to prepare accordingly. If sensible precautions are taken by the visitor to Peru, there is no reason why you shouldn’t remain as healthy as at home. 1. 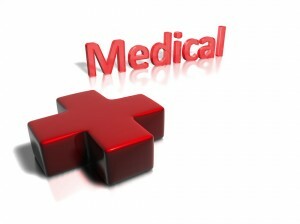 Before you travel make sure that you get (if you don’t have) good medical insurance. If you plan to undertake ‘adventurous activities’ such as rafting, horse riding or paragliding, make sure that your policy covers you. You may have to pay a small surcharge for this. 2. For advice on what immunizations or inoculations you require, we recommend that you contact a specialist travel clinic (at least 6 weeks prior to travel). Your own doctor may not be familiar with health in Latin America. No inoculations are currently required for Peru. However its best to call your local travel clinic. If you plan on going into the Peruvian jungle (Iquitos, Manu, Tambopata) then a yellow fever vaccination is recommended. There are still the occasional outbreaks and it is frequently obligatory to show a vaccination certificate when entering the jungle regions. Malaria tablets are also recommended for the jungle, although nearly all of the jungle lodges in the Madre de Dios/Tambopata areas and Manu National Park state that there have been no reported cases of malaria, and that taking anti-malaria tablets is optional. The most common problem encountered by the traveller in Peru is diarrhoea (between 30% and 40% of travelers in a 2 week stay experience this to some extent) but the majority of these upsets will be relatively minor. There is not need to become paranoid; trying the local food is part of the experience of travel. Tap water in Peru is unsafe to drink. Bottled purified water is readily available everywhere. In most good restaurants, purified water is used to wash fruit, vegetables and salads. If in doubt ask. If you want to be extra careful stick to salads made from boiled veggies (carrots, beans, beetroot, potatoes, etc) and avoid the lettuce leaves which are often washed at source in contaminated river water. Fruit in Peru is plentiful and delicious, but ensure that you wash it or peel it yourself. Avoid undercooked and reheated foods. Shellfish are a particularly high risk and so is Ceviche (raw fish marinated in lime juice). They are all delicious, however, and should be safe in well-run hygienic establishments. There are good doctors and reasonable hospitals in the major cities, but little in the way of good facilities away from the major centers. If visiting Peru, specifically the Cusco and Sacred Valley area or Lake Titicaca area, you will be at very high elevations. On reaching heights above 3,000 meters (9,000 feet), heart pounding and shortness of breath are a normal response to the lack of oxygen in the air. However, for some visitors these symptoms can deteriorate into a conditions known as Soroche (or acute mountain sickness) when you can start to experience headaches, loss of appetite, extreme tiredness, sleeplessness and often nausea. Symptoms usually develop within the first day or two at altitude, but may be delayed by up to 2 weeks. To prevent Soroche, try to take things easy as soon as you arrive. Once settled in your hotel room lie down for a while and drink plenty of water. Don’t plan any strenuous treks until you’ve acclimatized for at least 24 hours. Avoid alcohol, cigarettes and heavy food. Drinking mate de coca (an infusion of coca leaves – and perfectly legal in Peru) may help. If symptoms become more severe and prolonged it is best to quickly seek medical attention and make arrangements to descend to a lower altitude. On recovery one can re-ascend slowly or in stages. The drug Diamox is often used by many visitors to speed the acclimatization process and counter the symptoms of Soroche. Ask your doctor if they would recommend you to take Diamox. There are many natural herbs that can help as well. When you return home report any symptoms to your doctor and say exactly where you’ve been. If taking anti-malarial tablets, remember to keep taking them for 6 weeks after leaving the malarial areas. Note. The above information and advice on HEALTH is give in good faith. We cannot accept responsibility for accuracy of information provided. In issues regarding your health it is always best to consult a specialist.